Now everyone will be able to track the projects and always be kept in the look with those important tasks. 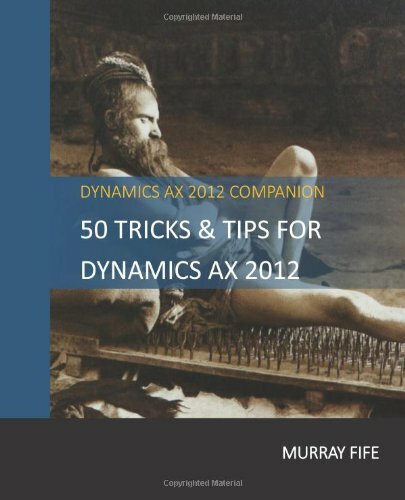 To do this we need to make sure that Dynamics AX is configured correctly. The first thing that we need to check is to make sure that the Collaboration Workspaces are configured to track projects. To do this, click on the Collaboration Workspace Settings menu item within the Enterprise Portal folder of the Setup group within the System Administration area page. When the Collaboration Workspace Settings maintenance form is opened, check the Template that is configured for the Collaboration Workspaces, and make sure that it is a Team or Project site. This will ensure that you have the task component enabled within the site. Also, if you are going to be using this for every project, then you may also want to set the workspace to either be Created Automatically or at the very least Prompt To Create A Workspace by checking the appropriate flag. Now click on the Project Management And Accounting Parameters menu item within the Setup group of the Project Management And Accounting area page. Parameters form is displayed, make sure that the Save Microsoft Project Files To field is set to Collaboration Workspace so that all of the project information is all stored in one spot. Now open up your Project. If you haven’t created a Collaboration Workspace yet, click on the Collaboration Workspaces button within the Setup group of the Project ribbon bar and click on the Create Collaboration Workspace menu item. When the Create Collaboration Workspace dialog box is displayed, click on the OK button. Now expand out the Collaboration Workspace fast tab and you should see that the UTL fields have links to the collaboration workspaces. To view them, just click on the web browser icon to the right of the URL’s. This will take you over to the Collaboration Workspace. Part one is now done. Now return to your Project and click on the Open in Microsoft Project menu item within the Activities group of the Plan ribbon bar. This will open up your Project within Microsoft Project. Part two is now done. Now you want to synchronize the two by clicking on the Files menu item and then selecting the Save As menu item. Then select the Sync with SharePoint option. Within the Sync with SharePoint Tasks List make the Sync With option an Existing SharePoint Site. Then paste in the URL for the Collaboration Workspace into the Site Address field. Note: If this is the first time that you have done this you may need to click on the Verify Site button to get Project to check that there is actually a Task component there for it to use. Now Project will take all of the data from the project and Synchronize it with SharePoint. When you open up the Collaboration Workspace again you will see that the project tasks have all been copied over to there. The tasks within the Collaboration Workspace will also be updated. What a great way to keep you customers up to date when you are collaborating with them.